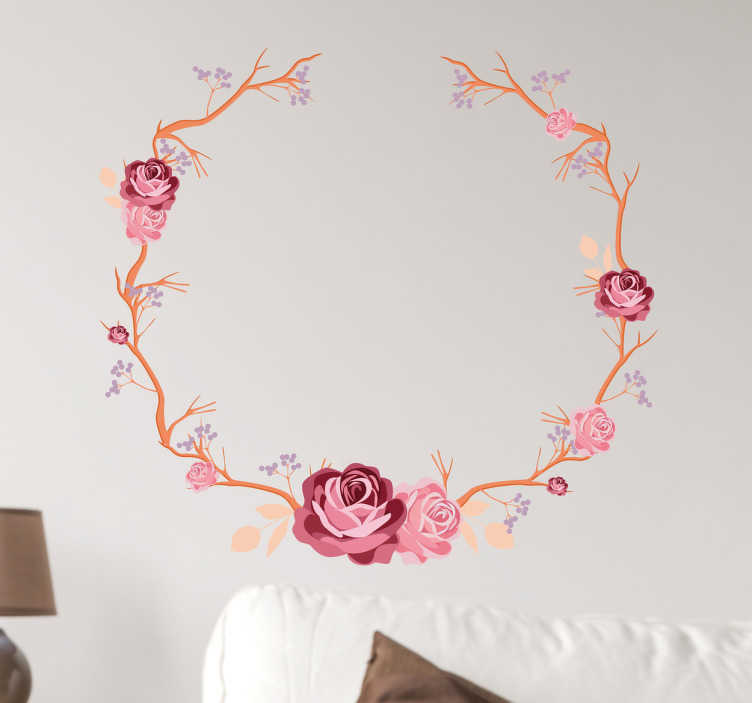 This flower wreath decorative wall sticker is the absolutely perfect way for injecting some spring spirit into your home! The ideal way to brighten up any room in the home, this vinyl shows a ring of beautiful pink and lilac flowers. Even suitable for outdoor application, this sticker comes in a wide variety of sizes, and is made from a high-quality anti-bubble material!